DIRKSCHNEIDER Announce New Live DVD/BluRay, LIVE – Back To The Roots - Accepted! 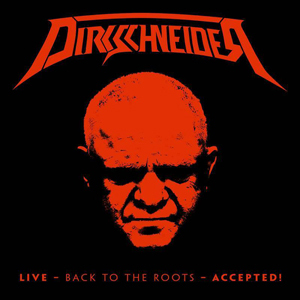 In addition to their still ongoing successful "Back To The Roots" Tour, DIRKSCHNEIDER will release LIVE – Back To The Roots - Accepted! via AFM Records on August 4th (EU)/ and August 18th (USA) as DVD/2CD, BluRay/2CD and Gtf. Triple Vinyl in two different colors. From October 2017 on, DIRKSCHNEIDER will tour with an almost completely NEW setlist. Of course, it will still contain only ACCEPT hits, but this time with many different songs compared to the last tours. All North America shows will have a VIP meet/greet with early entry. Purchase VIP and tickets via Enter The Vault HERE.